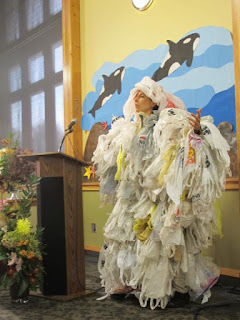 PTMSC Blog : Nominate Your Environmental Hero! Do you know someone who has worked to conserve or protect the North Olympic Peninsula, taken steps to encourage community-wide environmental sustainability, or altered the way you consider your impact on your local environment? Make that person the next Eleanor Stopps Environmental Leadership Award winner! From the 1960s through the 1990s Eleanor Stopps was an active member of the Northwest conservation community. Eleanor founded the Admiralty Audubon Chapter and took over the work of Zella Schultz to protect the nesting habitat for 72,000 pairs of seabirds nesting on Protection Island. She was also a tireless educator working with groups of students and Girl Scouts to raise environmental awareness. 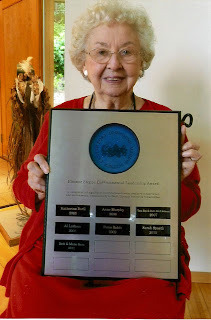 Eleanor Stopps recognized the need to protect the uniquely important marine environment of the Salish Sea. With no special political base or powerful financial backers, she formed a coalition of grassroots supporters who worked to get legislation and public support for protection of Protection Island and the surrounding marine waters. She was a primary driver behind the establishment of the Protection Island National Wildlife Refuge, one of the few established by an Act of Congress at that time. Today, Protection Island is a critical habitat link in the preservation of the whole Salish Sea region, providing breeding habitat for Pigeon Guillemots and Rhinoceros Auklets, Bald Eagles and Peregrine Falcons, Harbor Seals and Elephant Seals, and a myriad of other species. 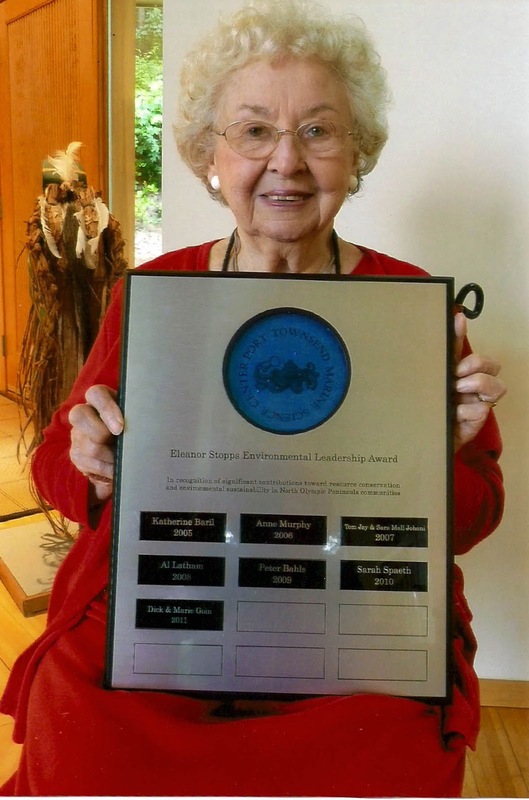 The Eleanor Stopps Environmental Leadership Award is given annually to a citizen of the North Olympic Peninsula (Jefferson and Clallam counties) who, like Eleanor Stopps, has created a legacy of conservation. Please take a moment to recognize your environmental hero by nominating them for the Environmental Leadership Award. The winner of the award will join the visionaries and risk-takers before them with their name engraved on the Eleanor Stopps plaque as well as an official presentation of the award at the Marine Science Center's annual Stewardship Breakfast. Everyone nominated for the award will receive public recognition on our blog, Octopress online, and in a press release to regional media. Email your completed form to info@ptmsc.org. Nominations must be received by August 23, 2016.